Hello, everybody! It’s been a while since I’ve done a favorites post. I didn’t have many new products to share with you all in the month of March, so I figured I would combine my favorites from the month of March and April into one post. Even with the two months combined, I didn’t really change any products in my beauty routine or try many new products so there aren’t many items in this post, but I hope you enjoy reading regardless. Let’s dive right in! The first thing on this list is the matcha latte flavored Chocopie from Orion. I’ve been on a matcha kick for a while now (you’ll know if you read my last favorites post – link here). My mom actually saw this before I did when we were grocery shopping at a Korean market, and she immediately knew. She just knew. I put a box in the shopping cart, but she said I should put another one in – one to eat at home with my brother and another to take with me to San Jose. I’m not sure if this is a completely new flavor, a new flavor in America, or if it’s been in the market for a while now, but I think it’s new. I have seen the banana edition before (which is also good, by the way), but it was my first time seeing the matcha edition. As a marketing major, I think it’s cool how Orion redesigned their packaging to incorporate earthy colors and a traditional look. 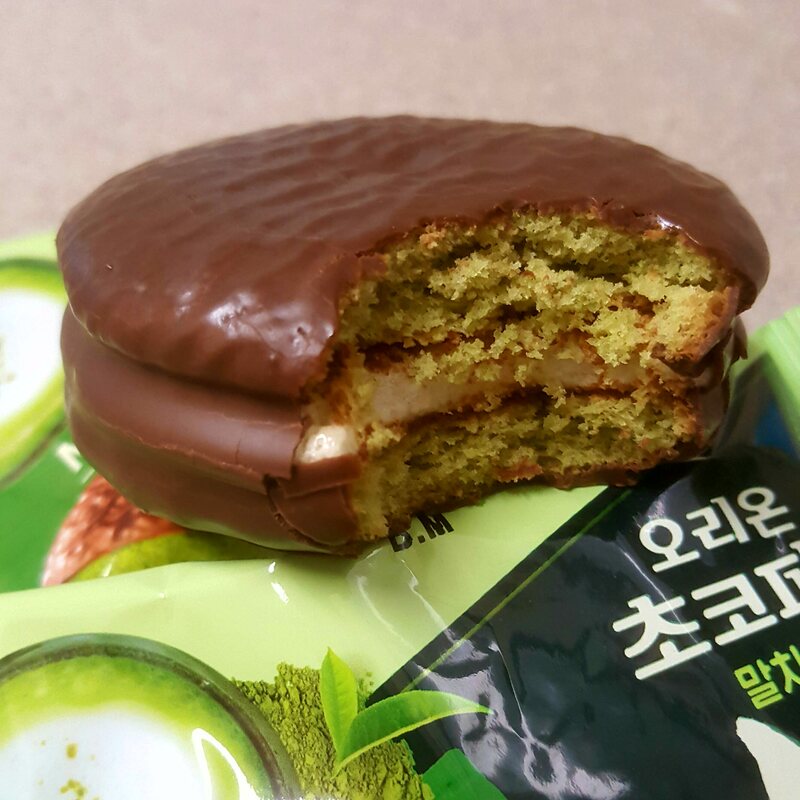 I absolutely adore the rich green color inside the Chocopie. I also think the marshmallow is slightly puffier in the matcha edition, but that may just be me. A show I’ve been obsessed with is Hello Counselor. It’s a Korean show from KBS that you can watch on YouTube (subtitles available). The show is an entertainment program that deals with people’s concerns. People submit their concerns, and the MCs and celebrity guests talk about them with the intention of trying to fix the problems. There are also viewers in the crowd who vote whether they think they are reasonable concerns or not. The person with the most votes wins ₩1,000,000 (about $1,000 USD) each week. If that person is able to maintain his or her record of the highest number of votes for five weeks, that person wins ₩10,000,000 (about $10,000 USD). It’s quite interesting to see what concerns different families have. There are concerns that range from alcoholism to a man who believes he is an invincible phoenix. Hello Counselor is a really entertaining show that hits you with laughter but can also hit you with all the feels. If you’re looking for a roller-coaster ride of emotions, I highly suggest this show! Okay, onto the beauty products: a product I have been using again recently is Smith’s Rosebud Salve from Rosebud Perfume Co. I really like the finish of this balm. The formula is right in the middle of waxy and oily so the finish is quite soft. I like applying it over lip tint for a natural looking lip. Another beauty product I have brought back into my life is the Stila Convertible Color. I have an extensive collection of these, including holiday shades, but the one shade I have been using this month is Rose. This shade is so beautiful for a natural yet vibrant lip. If I feel fancy, I’ll also pop a bit of the same product in the shade Kitten to the center of the lip. 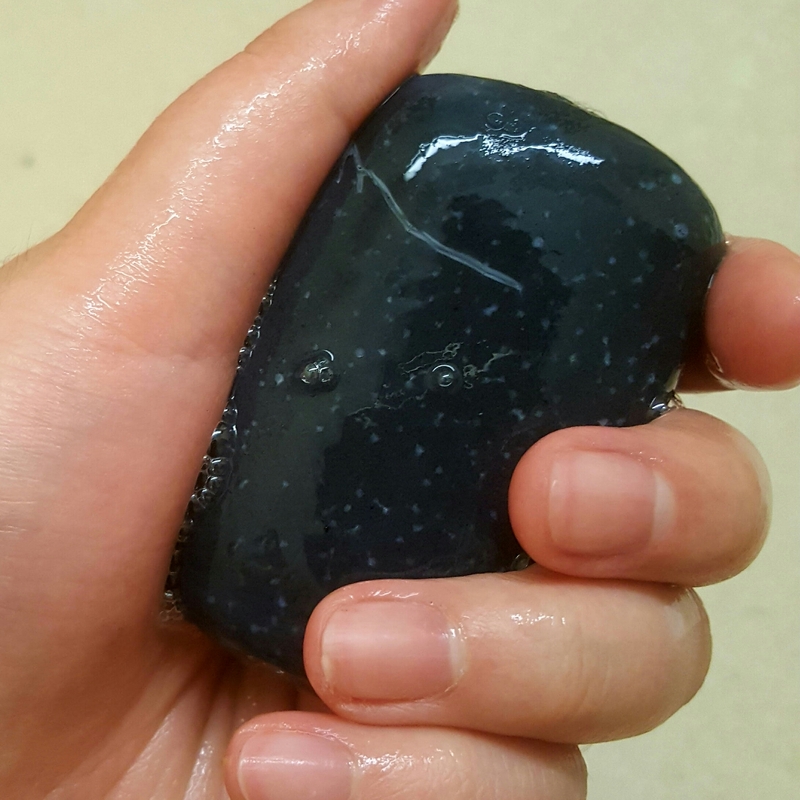 Last but not least is the Bamboo Charcoal Deep Cleanse Detoxifying Soap Bar from the brand Herbivore. It’s pretty good at removing makeup and getting a clean face. If you have dry skin, however, you may not enjoy this as it did leave some dry patches on my skin. It was a simple fix by gently exfoliating and moisturizing, but it’s still something to consider if you are prone to dry skin. My favorite foam cleanser of all time is the charcoal one from The Face Shop, so I’m all about this charcoal cleanser! Well, those are all the favorites I have to share with you all this month! Let me know if these are thing you would like to try or have already tried and love down in the comments section below! I’d love to hear from you!